Neckwear designer BlackBird surprised us yet again with their latest summer collection. The designer took a soft flannel cotton fabric and imprinted it with a playful yet classic floral design. 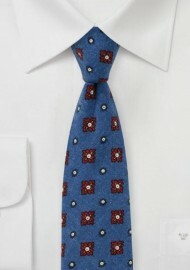 The indigo blue and crimson red color combination adds just the right amount of color to all your suits. 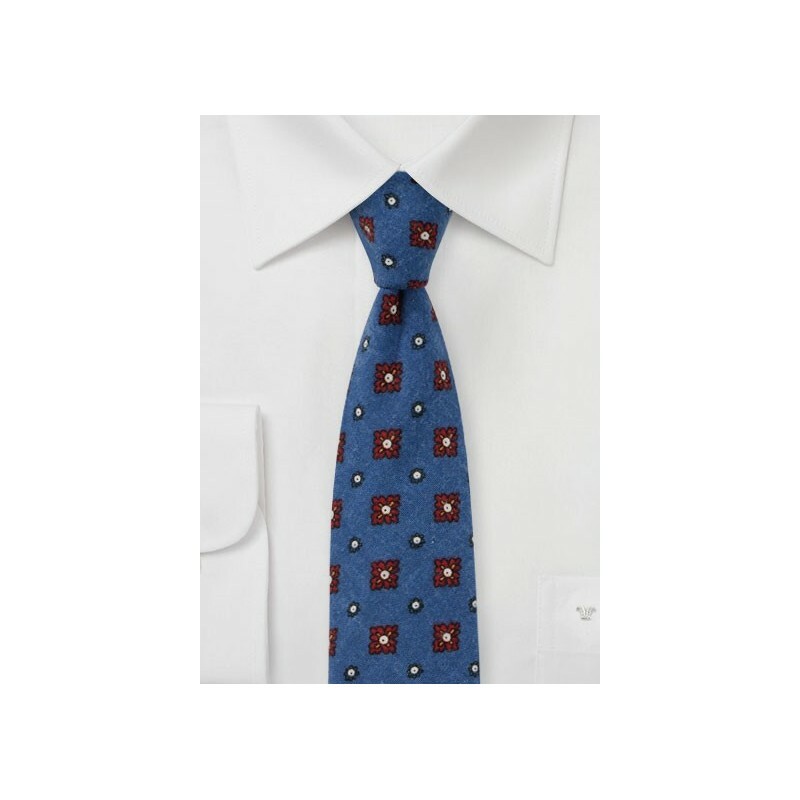 Besides wearing this tie with a suit, you may also want to try to dress it down by adding it to a more casual chambray or flannel shirt in light gray or light blue as well as dark wash jeans.